Please keep in mind that selling your business is not an overnight project. It takes time. My experience has been that six to eight months is about average. Previous articles have discussed the importance of having a good reason for selling your business, getting the business ready for sale and how to set the right asking price for your business. You are now ready to take your business to the marketplace. So let’s first discuss a couple of documents you’ll need to have handy. 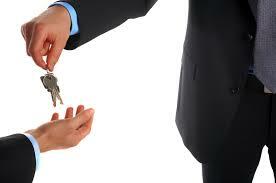 As you are already aware, confidentiality is important in the sale of a business. If word gets out that the business is for sale, bad things can start to happen. Employees start looking for other jobs, fearing that the new owner may not retain them. Customers may wonder about the business and start shopping elsewhere. Suppliers can get nervous. So first, you’ll need a confidentiality agreement already drawn up and ready for signatures. This is a must. Anyone who replies to a generic ad for your business must sign a confidentiality agreement before being furnished any identifying details of the business. This enforceable contract is also referred to as a non-disclosure agreement. If you’re using a business broker in your sales effort, he already has a strong non-disclosure agreement drawn up and rigorously enforces the requirement for getting it signed before disclosure of any specific information. And if you don’t mind me slipping in a commercial here for business brokers – remember, that’s the way I make my living – it is much easier to maintain confidentiality by using a professional business intermediary than by trying to advertise and sell the business yourself. And national statistics show that business brokers will sell a business quicker and with fewer problems than owners trying to do the job themselves. I’ve found that most business owners are very good at running their businesses, but few have sold a business before. It’s a process that is fraught with landmines. But hey, you already know I’m prejudiced! The confidentiality agreement should require the name and home address of the person making the inquiry plus contact information including phone numbers and email address. In my business brokerage practice, I also require that the prospect give me some information on his finances and business experience. I’ve never had a legitimate prospect who was sincerely interested balk at signing the agreement. If a person balks, it’s almost always an indication that he or she is a gossipy “tire kicker” who’s looking just out of curiosity. The next document you’ll need to have ready is a multi-page marketing package on the business. This summary should include a brief history of the business, a description of your current operation and a recap of the financial numbers. This marketing package is sometimes referred to as the Executive Summary or the Confidential Business Review, which is the term I use most often. Business brokers have a finely tuned template that is used for this important document. This Confidential Business Review serves as an accurate and informative synopsis of your total business operation. This document is very important in the process of selling your business. It is your primary marketing vehicle. Once a prospective buyer expresses a sincere interest in the business, has signed a confidentiality agreement and passed a preliminary screening, he is then given a copy of this document. The Confidential Business Review serves two purposes. First, it allows the prospect to make an informed judgment as to whether he is interested in pursuing the business after reviewing the information contained in the document. And secondly, the Confidential Business Review provides an outline that the prospect will use in a more thorough investigation of the business during the due diligence phase of the sales process. The prospect will quite naturally be checking the numbers and information provided in the Confidential Business Review. For this reason (and other good reasons), it is extremely important that no erroneous information be included in the document. Even an honest mistake can arouse suspicion and kill the transaction. While it’s important to paint as favorable a picture of your business in the Confidential Business Review as the facts will allow, it is imperative that you don’t step over the line and make any false representations. Any erroneous information in the document will definitely come back to bite you! Now that we have the confidentiality agreement and the Confidential Business Review ready, we can start the advertising phase of marketing your business. A few years ago, my office obtained most of our buyer prospects from our classified advertisement in the Sunday newspaper. However, technology has changed the world, and we now receive the majority of our inquiries from the various websites we use on the Internet. These websites are particularly important for obtaining out of area prospects, but even local folks here in town are looking at the websites and will call to inquire about a business that interests them. My office pays several thousand dollars a year in subscriptions to post our listings to 24 different business-for-sale websites. The Internet is where the action is today. No question about it. To recap, you have spruced up your business premises, brought the books and records up to date, computed your yearly cash flow, put a reasonable asking price on the business, made arrangements for maintaining confidentiality, drawn up a business marketing package and placed the business on the market with appropriate – but non identifying – advertising. What happens next? Let’s optimistically assume that a genuinely interested prospect has seen one of the ads for your business and called or emailed to inquire. If you’re using a business broker, the broker (1) has explained the need for signing the confidentiality agreement and obtained the necessary information and signatures on the agreement, (2) has questioned the prospect on his purchase criteria and (3) obtained some preliminary information on the prospect’s financial situation, business experience and his capacity to buy your business, and (4) briefed the buyer on the process – the steps involved – in buying a business. Most prospects will be first time business buyers and really don’t have a clear idea of the actual step-by-step process one goes through in buying a business, so we spend some time with them doing a little buyer education. If all of the above indicates that your business might be a good match for the prospect’s purchase criteria and if the prospect is deemed serious and sincere with the financial capacity to make the purchase, then he is given the Confidential Business Review of your business. Let’s again be optimistic and assume that after reviewing your Confidential Business Review, the prospect calls back a few days later and says he is genuinely interested in the possibility of buying your company and wants to proceed with a more detailed look at the business. The next logical step is a meeting between you and the prospect. The next article will discuss ways to make the meeting a success. William Bruce is a business broker, an Accredited Business Intermediary (ABI) and a business appraiser assisting buyers and sellers of privately held businesses in the transfer of ownership. He currently serves as president of the American Business Brokers Association. His practice includes consulting services nationally for business buyers and sellers. He may be reached at (251) 990-5934 or WilliamBruceOnline@gmail.com. This entry was posted in Business Valuation & Appraisal, Buying or Selling a Business and tagged How to Sell a Business, How to sell my business, selling a business, William Bruce Business. Bookmark the permalink.